You can't live in Miami without acknowledging our favorite form of transportation: BOATS!! 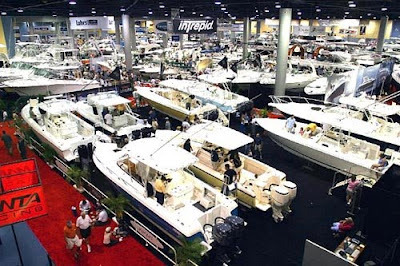 For boat aficionado's everywhere, the 69th annual Miami International Boat Show & Strictly Sail Miami, one of the world’s greatest boating events, is coming to town February 11-15, 2010. If you're in the mood to check out thousands of the latest powerboats, sailboats and marine accessories, then get ready to meet more than 2,000 exhibitors from around the world! 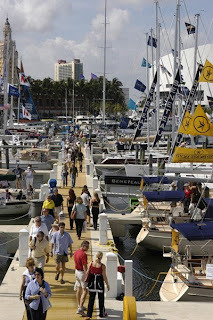 The Miami International Boat Show & Strictly Sail Miami offers something for every lifestyle and every budget. 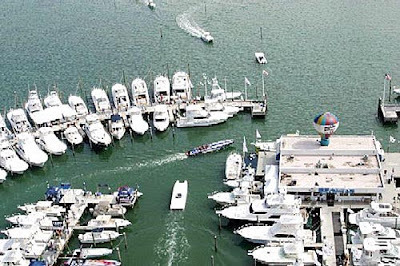 This year, there are two main locations where this massive event will take place: The Miami Beach Convention Center (1901 Convention Center Drive, Miami Beach) and The Sea Isle Marina & Yachting Center (1635 North Bayshore Drive, Miam). Don't miss your chance to meet Chris Fischer, an expert angler and Executive Producer and host of Expedition Great White, a landmark National Geographic Channel television series. Chris will be presenting some cool shark footage from one of his expeditions inside of the Big Game Room on Friday, February 12th from 5–8 p.m. To see a complete list of featured events and exhibitors or to purchase your tickets, visit http://www.miamiboatshow.com/. Take the time to relax and indulge your vision with some of the world's most beautiful yachts and sailboats.